The photos that tell the awful story of Mark Millar’s crash during an Irish TT back in June. While still working hard on his rehab, he’s already looking to help others with a fundraiser. 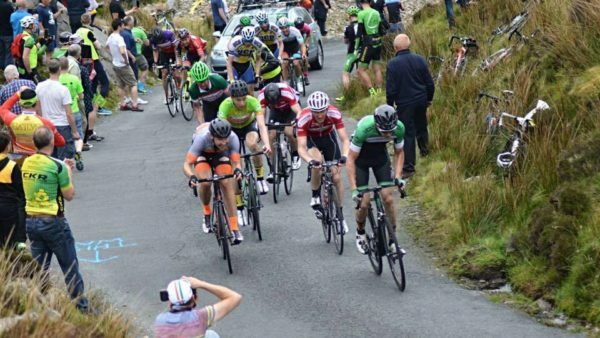 Irish cyclist Mark Millar, who has ridden three editions of the Rás, is now fundraising for the services that helped him after a life-changing crash. The 38-year-old was hit from behind by a motorist in an SUV while riding the Ulster 100 Mile TT Championships back in June. Unfortunately, he broke his spine and spinal cord and is now paralysed as a result. It has set him on a tough journey but, having ridden the Rás last year and the two previous editions, he still has sporting goals. While only five months have passed since then, he is already fundraising for the services that can help others like him. Mark has been undergoing rehab since his crash and he now wants to raise funds for spinal research. He’s established a funding page, which is open to members of the public to donate to. On the page he has posted photos of himself racing and of his injuries due to the crash. And he has also explained the background of his crash and why he is fundraising; a pretty incredible act considering he’s so early in his recover. 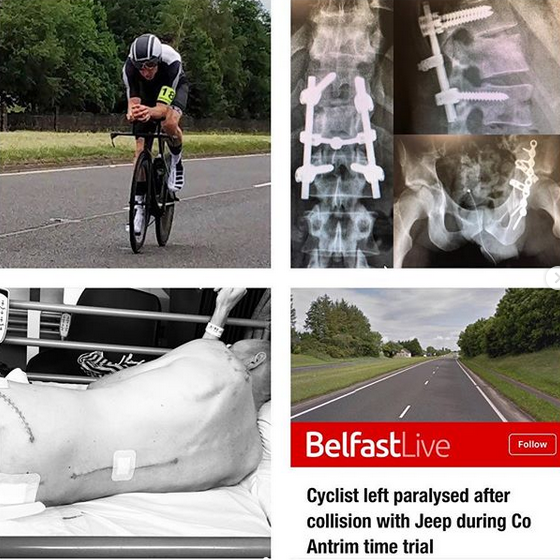 “On 10th June 2018 whilst competing in the Ulster 100 mile Time Trial I was hit from behind by an SUV,” he said. “Amongst many serious injuries I broke my spine in four places and severed my spinal cord at level T12 which left me paralysed from the waist down. “Following the care of the emergency services, the wonderful staff at Royal Victoria Hospital and Musgrave Park spinal unit and the support of my amazing wife, family and friends I survived. “And after just three months (I was) discharged to continue my rehab at home,” he added of his continued recovery, aiming towards future goals. “And almost five months post-accident, whilst I have a long journey ahead, I am looking forward and planning a return to competition as a Para-triathlete one day and a return to Ironman racing. Already Mark has raised £750 of his £2,000 target. But it is highly likely that figure will rise much higher after more people become aware of his situation and fundraising efforts. You can visit his funding page by following this link. Mark Millar leading the Rás group as the road kicks up; he rode the race in 2015, 2016 and 2017.